Locally owned and operated in Saskatoon, the professionals at Maaco Collision Repair & Auto Painting share a few tips on good practises for today's drivers. 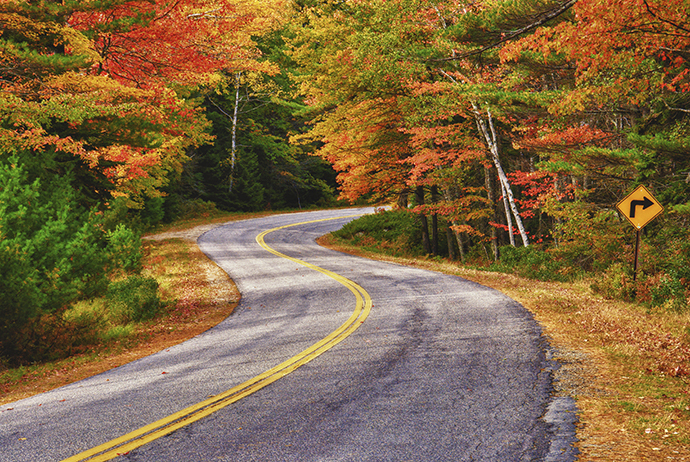 Driving is a daily task for most of us, and staying safe on the road is important. Your car is also likely one of your largest investments, so taking care of it should just be common sense. However, when you spend so much time in your car, it can be easy to overlook even the most basic safety and maintenance issues. These are great habits to get into so that your car will serve you well for years to come. Overlooking these simple tasks are some of the most common mistakes drivers make. Everybody who drives knows that cars need an oil change from time to time. However, many drivers really neglect this fact. They know what needs to be done, but they don't do it. Why? While you might read that motor oil needs to be changed every 5,000 miles or so, the truth is that the only way to know how often you should be changing your oil is to follow the intervals recommended in the owner’s manual that came with your vehicle - and use the dipstick to see if the oil's color has darkened. Every car is different, and that's why owner's manuals exist. Not changing your car’s oil frequently enough can cause harm. If you have a leak, just topping it up will work for a while, but you should really get it fixed if you want your car to work for any length of time. Engine repairs are among the most costly, so changing your oil on time just makes sense for your pocketbook. You can even keep an eye out for coupons to save money on car maintenance. Most people simply don’t think about the air filter in their car unless they’re very interested in how a car works. In fact, some people don’t even realize that their car needs a filter. It does, and if your air filter is dirty and needs replacing, your car won’t perform at its best. Over time, running your car with a dirty air filter can cause the engine to overheat, damaging other parts of your car and keeping it from running efficiently. The worst part is that replacing your air filter is an inexpensive repair, usually below $40, so having a dirty one damage your car for expensive repairs doesn't make sense at all. Brake pads don’t really break, but they can easily become worn down over a period of time, making it more and more difficult to stop your vehicle. Eventually, that quick stop that keeps you from going past that red light or bumping into a car ahead of you just won’t be possible. While there really is no ideal amount of time you need to wait between changing brake pads, many mechanics and car manufacturers recommend somewhere in the 20,000- to 25,000-mile range. The best time to have your brake pads checked is when you’re having your tires rotated or replaced, since they will be exposed and easily accessible. If the pads need replacing, do it on the spot if you can afford it, to avoid any unnecessary risk. There are also a few warning signs of worn-down brakes to look for between checkups. You should head to a mechanic if you start hearing squealing when braking, or if it starts taking longer than usual to brake. Beyond maintenance, good habits while on the road are even more important. For a lot of people, the biggest driving distraction is using a smartphone to send text messages or make voice calls. There's also applying make-up, changing the radio or iPod playlist, and eating and drinking. Regardless of what your distraction is, stop it. You might think you’re saving time, but doing too much while your eyes should be focused on the road can lead to catastrophe. If you absolutely have to multitask on the road and make calls, you should consider investing in a vehicle with hands-free technology that allows you to dial, talk and answer calls with voice commands. Texting is something that you shouldn’t be doing in your vehicle. Maaco Saskatoon are Trusted Saskatoon Auto Body experts in collision repair and auto paint. We suggest you read what their happy customers have to say in their listing on Trusted Saskatoon. What can you expect when you deal with the professionals at Maaco Saskatoon? More than you thought! First, expect big cost savings and seamless quality repairs. A faster turnaround for your vehicle (on average 25% faster) and assistance dealing with insurance. You'll find Maaco quality at every price point - from a few hundred dollars to a thousand or more. It's up to you. Visit Maaco's Spotlight Profile for contact details and to stay connected on social media. Maaco is always posting great tips and inspiration for car lovers. Locally owned and operated in Saskatoon, Fitness Solutions is a sincere company with a straightforward vision: to provide you with the fitness tools to change your life. They believe that with a little help, every single person has the ability within themselves to achieve their fitness goals and that "fitness is not a destination, it's a way of life.". Fitness Solutions, your Trusted Saskatoon Fitness & Fitness Equipment experts, share a tip on cardio training. Cardio refers to light-to-moderate intensity activities that are sufficiently supported by aerobic metabolism that can be performed for extended periods of time. Cardio equipment is used to condition your heart through aerobic workouts that involve increasing your heart-rate and blood-oxygen levels. There are a ton of different options when it comes to cardio equipment, but which cardio machine is best for you? Treadmills enable the user to set up an exercise regime that can be adhered to irrespective of the weather. 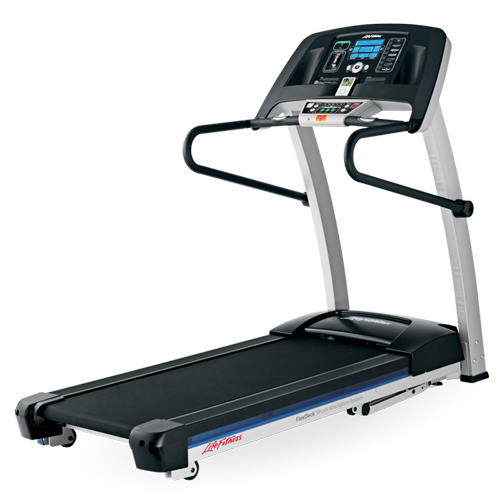 Their cushioned tread provides substantially lower impact training than running on outdoor surfaces and their variety of preset programs and user settings allow you to experience a comfortable and custom workout every time you set foot on your treadmill. Treadmills offer instant feedback on your speed, distance, time and calories burned, which most users find to be very useful. 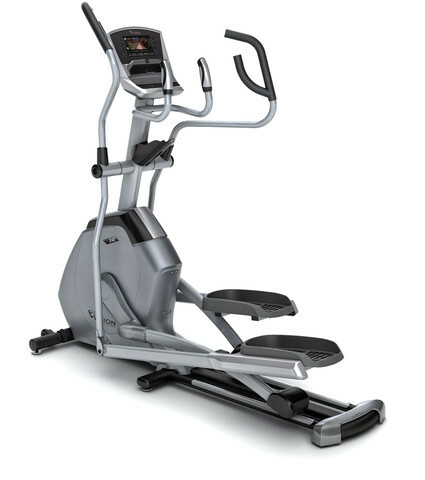 Elliptical training is a low-impact form of exercise. Low-impact exercise means exercise that is less stressful on your back, hips and knees compared to activities like running on a treadmill. You only need to use muscular strength to propel an elliptical machine, which offers benefits for older people, pregnant women, recovering athletes and people who are new to exercising. Since elliptical training can exercise various lower-body and upper-body muscles, you won't have to spend as much extra time working those muscle groups after you work out on an elliptical. You may be able to get in a well-rounded workout on an elliptical machine in less time. If you have a previous or current injury caused from a higher impact sport, or if you prefer a lower impact workout than an elliptical can provide, bikes (recumbent, upright or spin) and rowers are a popular alternative. Both offer unique preset programs and features, whether it’s a low, medium or high intensity workout you’re looking for, all with zero impact. An exercise bike gives you a low-impact workout that simulates riding a bike outside. Exercise bikes may be perfect for your fitness needs if you want something that is convenient and easy to use. An exercise bike does not take up much space and can be used indoors, rain or shine. While an upright bike offers a more traditional ride, the recumbent bike eases back tension and increases lumbar support as you ride. 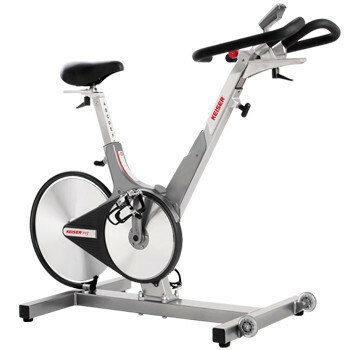 The spin bike is another popular and effective cardiovascular workout, taking the user to a whole new level of cycling. Some models are specifically designed for triathletes and cyclists who want to reach an increased performance level, while other stationary bikes are designed for the entry-level rider looking to experience indoor cycling for the first time. Many stationary bikes also come with features including the latest screen technology and software programs, giving riders the ability to watch and experience an interactive training workout. Rowing is an excellent exercise for attaining maximum physical fitness. Much like rowing a boat on the water, a stationary rowing machine can help to build and tone muscles, strengthen cardiovascular function and increase stamina. Rowing machines are particularly effective for older fitness enthusiasts because there they place no strain on the back and joints. Rowing invokes all the muscles of the body and trains them evenly. With little pressure on the joints, rowers work the legs, hips and buttocks with each stroke. They also use upper body muscles, strengthening the back, shoulders and arms. 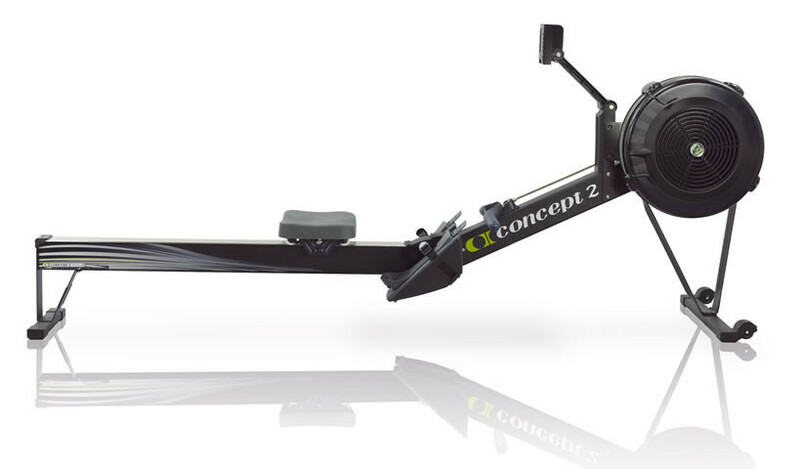 The trunk and core are engaged in the exercise as the rower performs each stroke. You can also adjust most rowing machines to create a tighter resistance to build muscle. How can I get the best workout for my body? As you might have guessed, incorporating both strength and cardiovascular training into your workouts will produce the best overall results. Cardio workouts boost your blood-oxygen levels, which greatly aid your body’s performance in recreational activities like high intensity sports or even just walking up a few flights of stairs without being winded. Strength training will complement your cardio by allowing your body to utilize more muscles without using as much effort, not to mention the multitude of positive effects that strength training has on your body and physical well-being. Visit Fitness Solutions' impressive showroom, or shop online! We suggest you read what their happy clients had to say in their listing on Trusted Saskatoon. Trusted is proud to give Fitness Solutions the thumbs up! Check out Fitness Solutions' Spotlight Profile for contact details and to stay connected on social media. 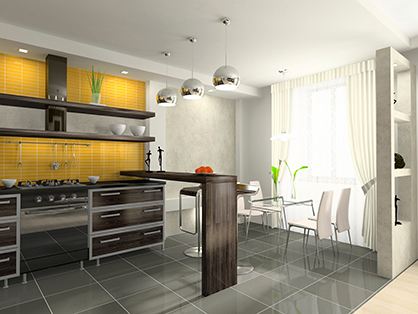 Is it time to renovate that kitchen or put an addition on your home? Or maybe you're tired of paying those high-interest credit cards. Or you're considering purchasing an investment property. If you're self-employed, you might need a cash infusion. So, where do you get the money? Well, if you have enough equity in your home you might be able to borrow against it. Here, Deb Murdoch, your Trusted Saskatoon Mortgage Expert, provides some information about utilizing your home's equity. There are pros and cons to all three options. Let's take a closer look at the possibilities! This is an entirely new loan on the property, and pays out the existing mortgage. You can choose to refinance to take advantage of a lower interest rate or take out cash to pay off debts or to renovate. There has to be sufficient equity since you can only refinance up to 80% loan-to-value (LTV) through conforming lenders. However, if you're in the first year or two of a fixed-rate mortgage, the penalty to refinance may be onerous. A second mortgage is a separate loan on the property, but is still secured by the property. This is a popular way to get much-needed cash quickly -- the application process is fast, as is the turnaround time. Second mortgage lenders focus on the property and the equity available. The interest rate will likely be higher because a second mortgage is riskier than the first. For example, in case of default, the first mortgage lender has the first right to proceeds from a sale or power of sale. However, there are situations when a second mortgage can be advantageous, especially if you already have a great mortgage rate on your existing first mortgage. A HELOC can be a stand alone first mortgage or an all inclusive collateral mortgage. The loan is approved using the same basic criteria as a mortgage loan. The full amount of the money is made available up front, and you can access as much or as little as you want. It's an installment loan that acts as a revolving line of credit. You access the credit line online, by using a cheque, credit card or by using your debit card. The "credit limit" is determined by the equity, but you'll only pay interest on the funds you use. Whether you choose any of these options depends on your financial needs and situation. For example, if current interest rates are lower than the rate on your existing first mortgage, refinancing may be the best choice. However, if rates are up, taking out a second mortgage might make more sense. Or, depending on what your needs are, selecting a HELOC may be the way to go. Together, we can determine the best option that fits your needs. I will work closely with you to ensure you're achieving your financial goals. To find out which of the three options suits you, call me today. Check out Deb's Spotlight Profile for her contact details and more information about her services! There are a lot of great things happening in the cool urban space of Village Guitar & Amp Co., your Trusted Saskatoon live music venue, event space, and music store. Keep reading for more on the many hats worn by this great local Saskatoon spot. Village Guitar & Amp Co. is a boutique shop that opened in 2011, in the ever-growing, vibrant & trendy Riversdale area of Saskatoon. The atmosphere is probably the best thing about the store. It’s a change in its west side neighborhood, walking into something that’s so big city. It’s got a really good cosmopolitan feel to it, and is definitely the place to come if you have a broken guitar or if you are looking for that special amp. When people first come in, they look surprised, as they weren’t expecting the lovely exposed brick work and wood features. Most people just walk around the store and look up at everything. It’s a buffet for the eyes. There’s so much to look at for musicians and non-musicians alike! Besides the gear, and the quality of the gear, it’s the knowledge of the team. There’s not really an attitude at VGA- you can get help as soon as you walk in. There’s somebody at the door when you get there and you are made to feel comfortable and welcomed! Village Guitar & Amp Co. is a refreshing addition to Saskatoon's music industry. Not only does it present a quality alternative to the hustle and bustle and sub-par service of some of the larger music retailers in the city, but it is also a great venue for small shows and local events. Photo Credit: Village Guitar & Amp Co.
Haven’t heard about the live shows at Village Guitar & Amp? Well, if you haven’t been yet, make sure you get to one- you are in for a treat! Only the best quality musicians make the grade at this venue. 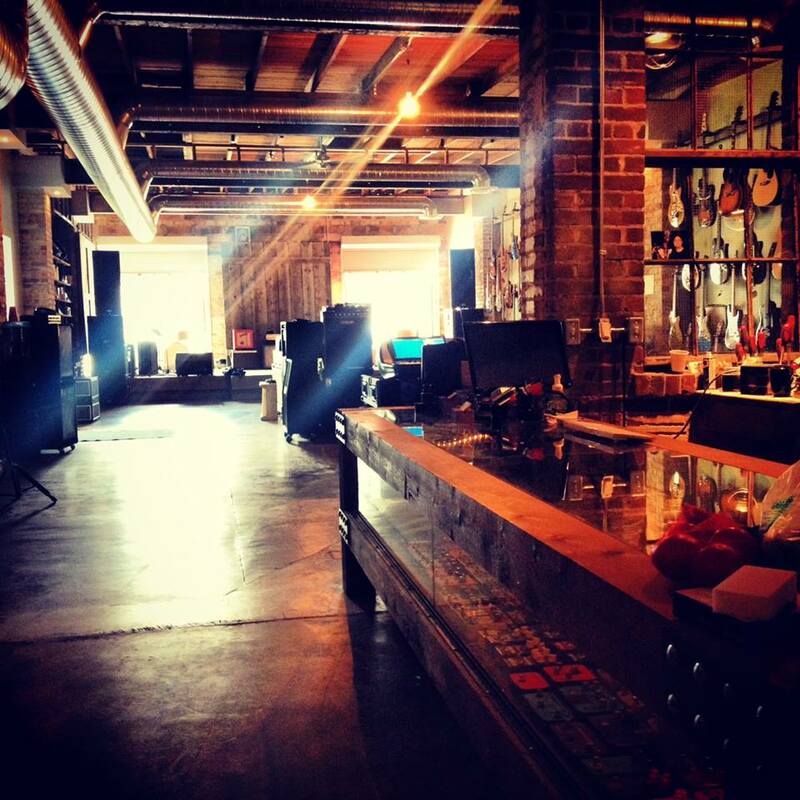 VGA is fully licensed and has local beer on tap. We suggest you buy tickets early, as space is limited to just over 100 people. This makes for a really exclusive and intimate experience that performers LOVE! Let local musicians and people tell you their thoughts! Sick of hosting or attending business events in the same old boring places? Want a unique meeting place away from the hassles of downtown? Want a different place to hold your family reunion, wedding, staff party or special event? Well, look no further than Village Guitar & Amp!! From Grey Cup parties to fashion shows, Village Guitar is perfect. Boasting wireless internet, an impressive 15' projector screen, and special event lighting, VGA also has a top of the line professional sound system. The space can transition seamlessly from an impressive day time presentation space with coffee, fresh baking, soup and sandwiches catered by the well loved and popular Underground Cafe next door, to an evening networking venue, complete with live music and a licensed bar! Village Guitar & Amp is a new and exciting enterprise right here in Saskatoon - check them out on Facebook for more information, or on Trusted Saskatoon! Barbecuing, sun-tanning, and just relaxing in the fresh air with a book are some of the best things about summer. Looking to put in a new deck to enjoy as the weather gets warmer? If this is a task you are thinking you'd like to try to take on yourself, there are a few things that are important to know before tackling the job. 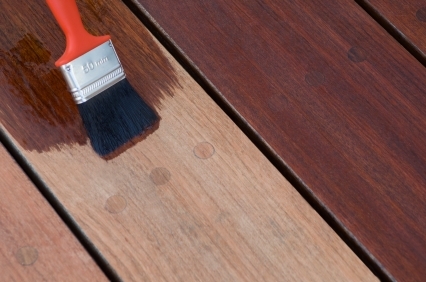 While building a deck can be a fun and fulfilling project, simple mistakes could turn your project into a very costly or even dangerous nightmare. Here, your Trusted Saskatoon contractors share 5 of the most common mistakes to avoid when building a deck yourself. 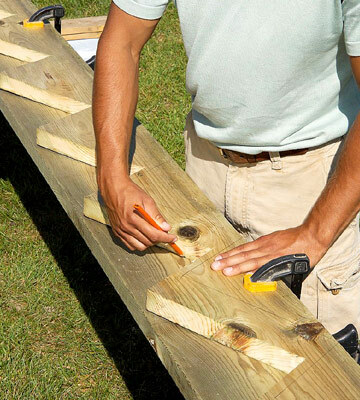 One of the worst mistakes to make when building a deck is to select the wrong building material. Often people buy the wrong wood or use nails where braces are needed, etc. Personally, I have come across dozens of decks built with fencing material. What seems like a cost cutting method could add up to major costs in just a few years. Most fence material has square edges, which chip and break off under the slightest amount of foot pressure. 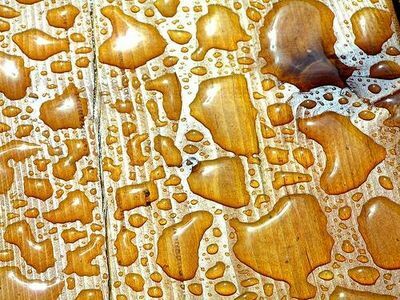 This wood also tends to be knotty and often warps in any weather condition. One of the most confusing aspects of building a deck for an aspiring carpenter, is cutting the stringer. There is a little math involved that often causes first timers to make the mistake of cutting incorrect riser heights. All of the risers should be the same length except for the bottom riser. All of the other risers will lose the depth of the tread once it is put on, so the bottom riser should be a tread depth smaller than the other risers. It’s an easy mistake to make when taking everything else into account. More often than not, beginning carpenters make the assumption that separating the distance of beam splices between the different plies is important. While it can help if done properly, It is more important to make sure your splices sit on top of posts. 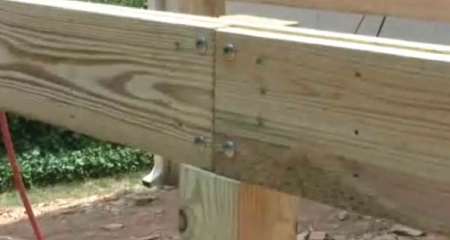 Some designs make it possible to stagger the splices and sit them atop separate posts but if this isn’t possible, make sure to sit your splices on top of your posts, even if they are only inches apart between plies. If you avoid this warning, you could be rebuilding after inspection. Building a deck can be a fun and rewarding experience as long as you plan ahead and avoid these costly mistakes. Braid Flooring & Window Fashions, your local Trusted Saskatoon Window Covering Expert, has recently expanded its operation to include high quality paints. The specialists at Braid stay on top of the latest trends in home interior style, and here they share a tip on paint colours from Debbie Zimmer, paint and colour expert for the Paint Quality Institute, a leading source of information on interior colour and design. Grey, the colour that connotes intellect, is one hue homeowners will be incorporating into their interiors this year. In her annual colour forecast for 2014, Zimmer is supporting grey in a big way: "It's the hot new neutral, a sleek and sophisticated colour option that adds refinement to almost any room. "Walls that are painted grey are great backdrops for almost any style of décor, and grey is such a dignified colour that it can elevate the appearance of even the most modest furnishings, " she says. Beyond wall colour, grey will embellish interiors in other ways -- in the form of grey wash on wood furniture, for example, and in fabric used for everything from seating to floor coverings. "We will even see grey's flashier cousin, silver, used as an important accent color," says Zimmer. But grey won't be the only neutral to be popular this year. According to Zimmer, those seeking a change from more saturated colour will be happy to learn that white and off-white are back in vogue. Manufacturers of interior paint will offer extensive palettes of ever-so-subtle tints comprised of 30, 40, and even 50 'whites' containing just a hint of colour. White is staging a strong comeback for a number of reasons, says Zimmer. "As with grey, the ease of coordinating furnishings with a neutral hue like white is appealing to almost everyone," she says. "However, some will gravitate to white for more personal reasons having to do with a change of address: those who are downsizing will favor white or very light-coloured walls to make their new, smaller interiors look more spacious; and for those who may soon put up a 'For Sale' sign, white is the wise paint colour to apply before listing a home." Design professionals and do-it-yourselfers in the mood for more colourful options will also have good choices next year. Blues and greens - in more tints and shades than ever before -- will again be crowd-pleasers, as they have been for a while. "Another hot colour in 2014 is mustard yellow," says Zimmer. "Its influence is growing in both fashion and home furnishing fabrics. We also expect to see more use of the colour on walls -- if not for entire rooms, then at least on accent walls." "In the end, colour choice is a very personal decision, so whether you are thinking about doing some painting, or changing your décor, or both, stick with colours that you love. When it comes to your home, your opinion is the one that matters most." Check out Braid Flooring's Spotlight Profile for contact details, and to stay connected on social media! Planning to sell your home in Saskatoon? You know those spotless, clutter-free, amazing looking rooms you see in magazines? That can be your home. Seriously! The founder of Fresh Living, Chantal Hounjet, created the company out of her combined love and talent for interior decorating and home improvement, which paved the way to a career in Home Staging and Interior Redesign. Chantal is an International Staging and Redesign Professional, bringing her talents directly to your door- and she is your Trusted Saskatoon Interior Decorator and Home Redesign Expert! 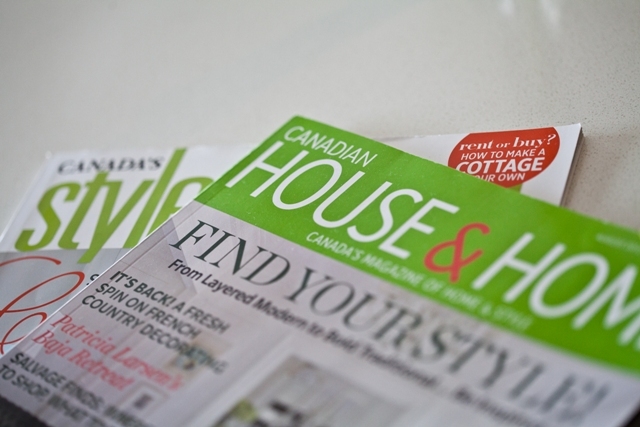 Here, Chantal answers some FAQs about home staging! Should every house be staged? Absolutely! How you decorate your home to live in and how you decorate it to sell are very different. The decorating choices you make for your home may suit your taste and lifestyle, but they may not suit those of potential buyers and may not show off your home’s best attributes. When you make the decision to sell your home, you must begin the process of detaching yourself from it. Even the most beautiful home needs to be de-personalized so potential buyers can imagine themselves living in it. Your home is now a commodity to be sold and it must appeal to a broad audience of potential buyers. Homebuyers are typically looking for bright, clean, spacious homes with great flow. Many buyers have difficulty picturing themselves and their belongings in a home if it is cluttered and has outdated decor. Fresh Living can make the small changes that will have a huge impact. Cleaning, de–cluttering, de-personalizing, organizing, and some re–positioning of furniture is needed in every home, and these adjustments can have an enormous effect on how the house is viewed. Every home owner considering putting their house on the market should call us. We can help! How long does it take to stage a home? That depends on what needs to be done to make the house look its best. Some staging jobs can take one day, to a few days. However, if there are rooms that require painting or repairs and renovations need to be made, then it could take a few weeks, depending on how quickly these upgrades can be completed. The end result will always be a beautiful, inviting home, ready for the competitive real estate market. What is involved in home staging? Fresh Living begins the home staging process with a consultation that provides an objective look at your house. We tour the house and make detailed suggestions on what changes or repairs may need to be made. We also discuss a timeline, budget, and priorities with you. Once a strategy is agreed upon, we begin transforming your home. Trades are brought in to quote on work that needs to be done; we assess the furniture, artwork and accessories that are available to us and do the necessary shopping; and in a very short period of time, your house is made ready for the real estate market. Home staging DOES work. It will help you to sell your home faster, and for more money. First impressions mean EVERYTHING when it comes to selling homes. • Staged homes on average experience a 3% minimum increase in final sales price, versus non-staged homes. • 98% of the houses staged have sold over the asking price. • 77% of people view homes first on the Internet. Be sure that your home shows above the rest, by staging it first! • Sellers who spent $500 on staging recovered over 343% of the cost when they sold their home. Are people offended when you point out what is wrong with their homes? Rarely, because people understand that in order to get the job done, we need to be able to discuss the home objectively and work on its problem areas. After all, that is why people hire us. We are not judgemental, but aim to be constructive and positive. Most of our clients, when they see the transformation of their home, see exactly why home staging makes such a profound difference in selling. How can I find time to carry out your suggestions, or be actively involved? I have a busy life. Preparing a house for the real estate market is different for everyone. Some people love to be involved in the home staging process while others prefer to go on holiday during the work phase. You can have as little or as much involvement as you like. We understand that when you have a full schedule, the whole process can seem overwhelming. It is our mission to make the transition as seamless as possible for our clients. We take care of it so that you don’t have to! Your home is your greatest investment so you want to make sure that it is in the best possible condition before putting it on the market. 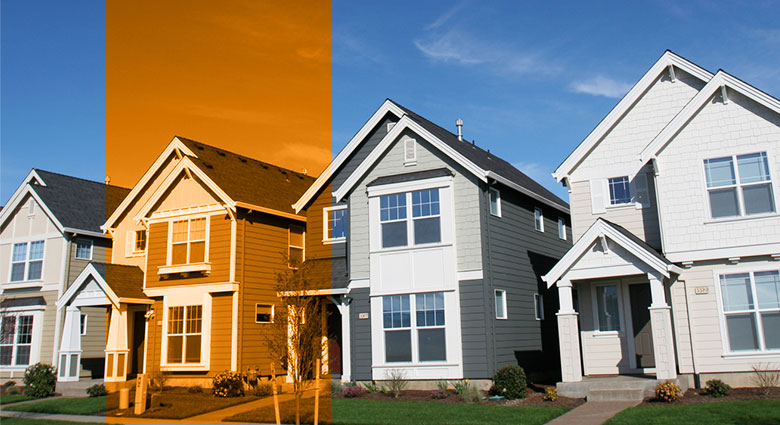 Our goal is to ensure that your house sells quickly rather than lingering on the market. Homes that sell in the first month get the best offers…so when we get your home sold in less than a week you will get the highest offer(s) possible. The cost of home staging is often less than the first price reduction on an un-staged home. You may also want to consider the emotional toll of a house lingering on the market –the stress of your house not selling at all or eventually selling for less; and the strain of keeping your house in immaculate shape for multiple showings and Open Houses. The stress reduction alone can make Home Staging well worth it. What if my house is already on the market, but is not selling? We are familiar with such cases, and it’s not too late to call us for a consultation. Fresh Living will help you organize a strategy to get your house sold quickly! Should empty houses be staged? Yes, because it is hard for buyers to get a sense of the space without furniture in it. Without furniture, the focus goes to negative details such as odd-shaped rooms, lack of architectural detail, or inadequate size. Furthermore, empty spaces tend to feel cold and uninviting. With staging, we can create a warm, inviting home that buyers can start to imagine living in. Does Fresh Living guarantee their work? We can’t guarantee that your home will sell within a week, but we will advise you on what needs to be done to transform your house into the best possible product for sale. In many cases, our clients enjoy what we have done to their home so much that they hire us to decorate their new house, or even their office. 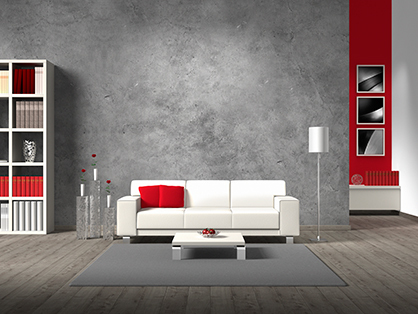 To begin your home staging process, find Fresh Living online, or on Trusted Saskatoon! Trash or Treasure your Wedding Dress? Has your wedding photographer offered you a "trash the dress" photography session? 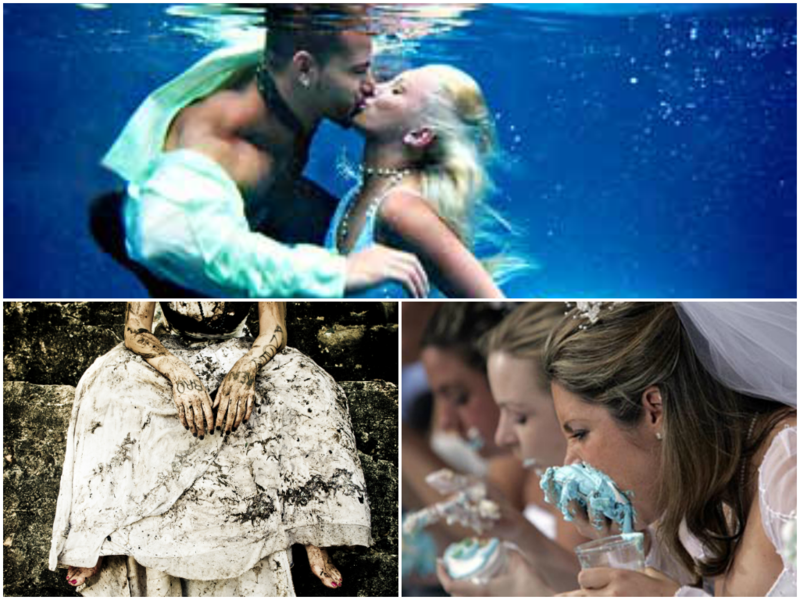 Do you want the fun of seeing yourself in your wedding gown in unfamiliar places? But you also love your wedding gown. Can you do both—"trash" your wedding gown and treasure it forever, too? Your Trusted Saskatoon dry cleaners, Family Cleaners, share a tip on preserving your wedding gown even if you choose to do a trash the dress photo shoot. Just because the wedding photographer calls it a trash the dress session does not mean your dress will be ruined. In fact, these sessions are sometimes called "free to flaunt" or "rock the frock". For a wedding photographer, it’s all about the creative shot, and some really creative ideas take you to dusty or damp places. But these shots can often be the ones you like best of all. If the only unusual views your photographer intends to film are on dry land, don’t worry! We should have no trouble removing whatever soil you pick up from trailing across a field or beach or through some historic barn or covered bridge. If you want to pose with pizza or some other food—no worries. Cleaners, especially a cleaner who specializes in bridal gown cleaning and preservation, are used to dealing with food, grass, mud, grease, and wine. However, if your trash the dress session includes paint balls, make sure the paint is water based. Water based paint can be removed from your bridal gown—although it is much harder to get silk bridal gowns completely clean than gowns made from artificial fibers such as polyester. That’s because natural fibers are hollow, and anything that stains a silk wedding gown penetrates the fiber and acts like a dye. Visit Family Cleaners at 132 Avenue B North, or find them on Facebook and Trusted Saskatoon. Gibbon Heating & Air Conditioning has been serving residents of Saskatoon and surrounding areas for over 25 years. The staff at Gibbon are your Trusted Saskatoon Air Conditioning and Furnace experts! Here, Kate from Gibbon shares some important information about protecting yourself and your family from carbon monoxide poisoning. You cannot see or smell carbon monoxide (CO), but at high levels, it can kill a person in minutes. It is the leading cause of poisoning death, with over 500 victims each year. Carbon monoxide is produced whenever a fuel such as gas, oil, kerosene, wood or charcoal is burned. The amount of CO produced depends mainly on the quality or efficiency of combustion. A properly functioning burner, whether natural gas or liquefied petroleum gas (LPG), has efficient combustion and produces little CO. However, an out-of-adjustment burner can produce life-threatening amounts of CO without any visible warning signs. When appliances that burn fuel are maintained and used properly, the amount of CO produced usually is not hazardous. But if appliances are not working properly or are used incorrectly, dangerous levels of CO can collect in an enclosed space. Accidental death from CO poisoning can be caused by malfunctioning or improperly used fuel-burning appliances. Accumulation of combustion gases can occur when a blocked chimney, rusted heat exchanger or broken chimney connector pipe (flue) prevents combustion gases from being exhausted from the home. CO also can enter the home from an idling car or from a lawnmower or generator engine operating in the garage. Another source for CO is backdrafting. When ventilation equipment, such as a range-top vent fan, is used in a tightly sealed home, reverse air flow can occur in chimneys and flues. An operating fireplace also can interact with the flue dynamics of other heating appliances. Again, backdrafting may result. Other common sources of CO include unvented, fuel-burning space heaters (especially if malfunctioning) and indoor use of a charcoal barbeque grill. CO is produced by gas stoves and ranges and can become a problem with prolonged, improper operation -- for example, if these appliances are used to heat the home. Flame color does not necessarily indicate CO production. However, a change in the gas flame's color can indicate a CO problem. If a blue flame becomes yellow, CO often is increased. While larger combustion appliances are designed to be connected to a flue or chimney to exhaust combustion byproducts, some smaller appliances are designed to be operated indoors without a flue. Appliances designed as supplemental or decorative heaters (including most unvented gas fireplaces) are not designed for continuous use. To avoid excessive exposure to pollutants, never use these appliances for more than four hours at a time. When operating unvented combustion appliances, such as portable space heaters and stoves, follow safe practices. Besides observing fire safety rules, make sure the burner is properly adjusted and there is good ventilation. Never use these items in a closed room. Keep doors open throughout the house, and open a window for fresh air. Never use outdoor appliances such as barbeque grills or construction heaters indoors. Do not use appliances such as ovens and clothes dryers to heat the house. Inspect heating equipment. To reduce the chances of backdrafting in furnaces, fireplaces and similar equipment, make sure flues and chimneys are not blocked. Inspect metal flues for rust. In furnaces, check the heat exchanger for rust and cracks. Soot also is a sign of combustion leakage. When using exhaust fans, open a nearby window or door to provide replacement air. Only a trained service technician can detect hidden problems and correct these conditions! * Never leave a car running in a garage, even with the garage door open. * Never burn charcoal in houses, tents, vehicles or garages. * Never install or service combustion appliances without proper knowledge, skills and tools. * Never use a gas range, oven or dryer for heating. 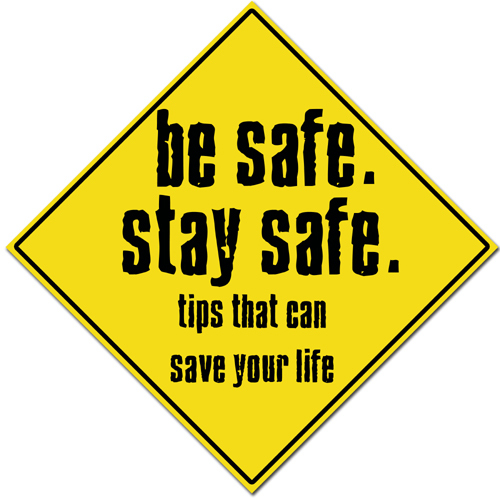 * Never operate unvented gas-burning appliances in a closed room or in a room in which you are sleeping. At the beginning of every heating season, have a trained professional check all your fuel-burning appliances: oil and gas furnaces, gas water heaters, gas ranges and ovens, gas dryers, gas or kerosene space heaters, fireplaces and wood stoves. Make certain that the flues and chimneys are connected, in good condition and not blocked. Whenever possible, choose appliances that vent fumes to the outside. Have them properly installed, and maintain them according to manufacturers' instructions. Read and follow all instructions that accompany any fuel-burning device. If you cannot avoid using an unvented gas or kerosene space heater, carefully follow the cautions that come with the device. Use the proper fuel and keep doors to the rest of the house open. Crack a window to ensure enough air for ventilation and proper fuel burning. Gibbon is a "total service" company with trained technicians who are able to provide customers with solutions to all their heating, air conditioning, and plumbing related requirements. If you are interested in having an expert in carbon monoxide safety come into your home to evaluate your heating system and appliances, give Gibbon a call at (306) 343-9576, or find them online. Wiseguys Mattresses offers incredible value to their customers through a boutique style shopping experience, customized service, and unbeatable prices. They aim to have every customer leave the store confident in their decision to buy, and with a guaranteed good night's sleep on their best mattress. Mark from Wiseguys Mattresses is your Trusted Saskatoon Mattress Expert, and here he shares a few tips for buying a new mattress! If your mattress is 7 or more years old, or simply not as comfortable as it used to be, it may be time for a new one. A good quality mattress, by Sleep Council Canada standards, should last on average 8-10 years. So, if your mattress is 7 years old or older, you will likely be replacing it in a few years. If you've got a guest bedroom, you will be able to get many more years of use out of it by repurposing it as a spare room bed, and purchasing a new one for yourself. Here are some myths about mattresses that you should be aware of in making the decision to purchase a new mattress. The truth is that the best mattress for your back is the one that feels best to you. A mattress provides both pressure relief (the top portion of the mattress provides this) and back support (the bottom part of the mattress provides this) and the best combination of that feeling is what you are looking for in a mattress. The best bed is the one that’s most comfortable to you. High coil count is critical. The truth is that there is way more to it than that. Type, gauge, tempering, etc are FAR, FAR more critical and important. A high coil count absolutely does not mean a better bed. People who talk nothing but coil count know little about mattresses. Silk, cashmere, and wool make a bed more comfortable. The small amounts usually used in the upper padding only make a bed more expensive. When you cover your mattress with a pad and sheets, you can’t directly feel the surface anyway. Stores sell the same mattress under different names. Retailers often claim that their mattress A is comparable to a competitor’s mattress B. Though you may find beds that are truly alike, most “comparables” have little in common. They may look exactly the same on the outside, but will have different foaming, foam amount, and/or different grades of foam. Unless it's the same manufacturer and the bed has the same name at both locations, there will be a difference. I save a lot of money when mattresses are 50% off. Ever wonder how some stores can always be having a half price sale? It's because their "regular retail price" is sky high. Then it's "half off" to give you the illusion of saving big. Companies advertise like this because it works. I had a mattress I retailed for $899 taxes included, and I saw a competitor's full page ad for the same mattress saying they were selling it for 70% off. Their retail price was $3200. Same bed! The higher the price of the mattress you buy, the better quality of sleep you will get. Look at myth #4 to see why this is false. However, price differences can also reflect the expense of the foam from bed to bed. Higher grades and densities simply cost more. That being said, expensive foam doesn't mean greater comfort. Again, you should purchase what you find comfortable, not what is more expensive. In a perfect world maybe, but manufacturers dangle financial incentives known as SPIFs (or “sales person incentive funds”) to push various brands and models. Again, nobody knows what's best for you other than you. If nothing else, remember these simple rules. The only thing that matters in a mattress is comfort, comfort, comfort and durability. Nobody knows what is right for you, except you. Everybody has different comfort levels. Let your body tell you what's right. 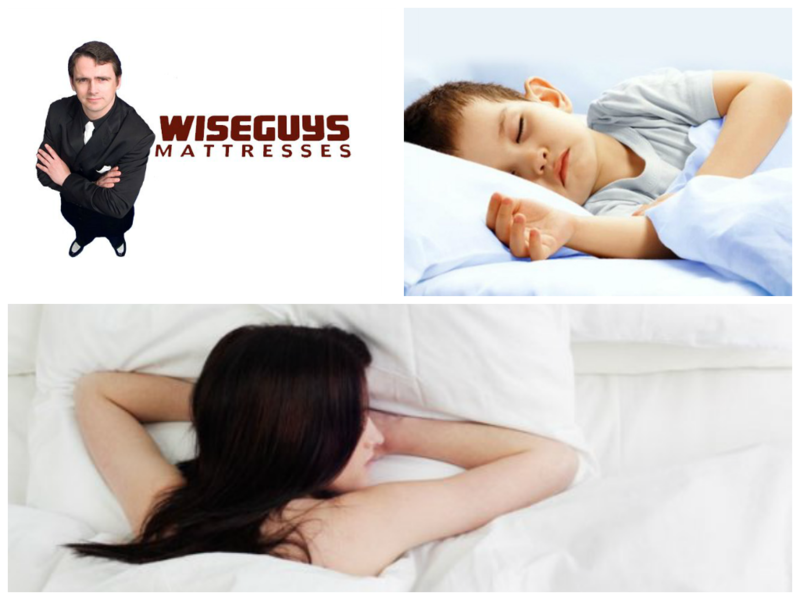 Find Wiseguys Mattresses at 805 Circle Drive East, or online.